Pricing & Order Info. Pricing & Order Info. Easily reduced to 28 speaking roles. See "Casting" tab below. Simple scenery that's easily adaptable. A BRAND NEW product; a CD-ROM or download of all the songs called "Sing it!" is available. This CD-ROM or download can teach the songs to the children without any teacher input. Children can use it at school or at home - think of the time it will save you! Most schools use it in class on an interactive white board or in the school hall on the overhead projector to allow full cast practice. Children LOVE learning this way and the product is foolproof. 'The "Sing it!" products were fantastic.' The Downs School, Bristol. 'Absolutely amazing material.' Mary O'Neill-Delano, Canada.
' "Sing it!" is fantastic for us less musically inclined teachers.' The Coppice Primary, Worcestershire. 'I really appreciate the "Sing it!" component as we often use this in rehearsals.' Newborough East Primary, Victoria, Australia. 'Can I also say that your "Sing it!" CD was brilliant.' Key Stage 2 teacher, Singapore. Another BRAND NEW product is the "Dance it!" Choreography DVD. Watch each song performed by a group of age-appropriate children in two different versions - a full speed 'Performance' version and a slowed down 'Step By Step' version with helpful narration to guide you through the dance. Introduced by Craig Hawes, the DVD is also packed with lots of handy hints for teaching dances. Absolutely no previous experience or expertise is needed. 'The "Dance it!" DVD was great.' St Hugh's Catholic Primary, Lincolnshire. 'For the first time we used the "Dance it!" DVD and found it wonderful.' Rising Starz Performing Arts, New Zealand. '"Dance it!" videos were very useful.' Sacred Heart Catholic Primary, Hertfordshire. 'Loved having the Choreography (Dance it!) video this year. That really helped our choreographer get the kids started and when she was sick, we could still rehearse their dance moves.' The American School, Marrakesh. 'Loved the "Dance it!" that came with "Porridge" and would love similar for other productions. Makes my life so much easier.' Aria School, New Zealand. Both these CDs include Overture, ALL Songs, Special Effects, Play Ons and Play Offs in the order you need them enabling production and direction to take place without specialist musical expertise. Encompasses Overture, ALL Play Ons and Play Offs, Songs, Link Music, Cues and Chord Symbols. (Grade 5 / 6 standard). Check it out on the "Script and Songs" heading. Grade 4 standard, check it out on the "Script and Songs" heading. Grade 1 standard, check it out on the "Script and Songs" heading. Camelot's Craziest Quest! Medieval Mayhem!! Supplied in both a PowerPoint presentation and as individual JPG files. "I am really extied to do our last three performances because it is amazing to work with all my friends and I play Kitty Cobblers its amazing! I really like the character Jolly Jake! " "This is the best show iv'e ever done. I played Jolly Jake in What a Knight. Everyone was joking around me because I got a funny line. (Example: blurting out one of my lines: It's all so depressing!) It was good fun. " "I played Kitty Cobblers in What a Knight and it was an experience I will never forget! It was such a joy to rehearse and my mates would agree." "This is a great play and the kids have loved doing it. We love all the jokes and all the kids find them hilarious. Would definitely recommend as a great end of year 6 production (which is what we did!!!!!) "
"Amazing characters, amazing plot, amazing dialogues and amazing play! Year 5 did this January 2015 and it was amazing! What a play, What A Knight is!" "We did this for our year 5 production and I loved it to pieces. I would recommend this to anyone who would like to put on a simple but amazing production. I wish I could do it all over again!!!!!!! " "Fun producing it, being 11 years old and a pupil acting King Arthur, everyone enjoyed it. The audience loved it too. A great production." "A really great show which transports children and parents back in to the dark ages with consummate ease! The songs are catchy, but not too ambitious for a week's holiday workshop, but children learned the lines quickly and relished producing a fabulous performance with our team of directors. 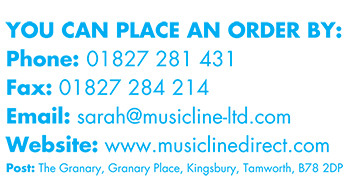 At Stagecoach Galway, we love working with Musicline because they keep delivering measurable results and What a Knight! will not let you down. A big hit and highly recommended." "I was Watt Cobblers and it was my Yr 6 leavers production. It was the best one i ever did!!!!!!! Loads of laughs!!!! OHHHH WHAT A KNIGHT!" "All my class have really emjoyed performing this show and getting into crazy costumes. We have got into playing the roles and pretend to be our characters when we eat lunch! The show is going to be amazing on the night of the performance and I don't think ANYONE can wait! We have a great Watt and Kitty (the banter between those two is great) and a amazing Alice, Merlin and Dusty! Everyone suits their characters and can perform their parts well. I suggest to anyone wanting to perform this play to do so, you will be laughing from start to finish and singing ALL the catchy songs on the way home." "I think the play is really good and funny I am rehearsing right now and I am the bad knight. It Iis really funny and I can't wait to perform!" "We are doing this play at my school. I am Dusty the dragon. It is a hilarious play. LOVE IT!!" "I'm doing this production for my Yr6 leaving performace. Iv'e only learned one and a half songs, but even now I'm on the edge of my seet to hear more!!!!" "The children and the staff have thoroughly enjoyed performing this play. The script is exceptionally funny. I can thoroughly recommend it." "I cant wait! im singing on my own! this prouduction is going to be the best! thankyou craig haws!!!" "We did this for our end of year play and we had so much fun. The songs are really good and we were able to add some witty moves to go with the words. We had the audience in fits and I LOVED How To Be Me - best song! Even if it is because it was my solo but everyone said that was their favourite so I was like yay! " "This Prouduction was way better than last year,i was the main character and last year we did Yee Ha another on by hawes in year 5 this rocked and was way better i loved it and my best freind was Lord Dudley so he was a courtier i hope next year its even better"
"I LUV WHAT A KNIGHT!!!!!!!!!!!!!!!!!!!!!!!!!!!!!!!!!!!!!!!!!!!!!!!!!!!!!!!!!!!!!!!!!!!!!!! ITS SOOOOOOOOOOOOOOOOOOOOOOOOOOOOOOOOOOOO COOL ITS GOING 2 BE THE BEST LEAVERS PLAY EVER"
"it is so great - we love it!" "The audience were falling out of their seats its that funny great witty one liners and loads of plays-on-words best play ever great way to leave p7every show was sold out I'm really happy about the play it's over now and sad about that but had great time amazing crack even in rehearsals. BUY THIS YOU'LL HAVE QUITE A KNIGHT(s)"
"What a play love it love the sword fight"
"Really enjoying practices. I play The Black Knight. I can't wait for the perform it. Feb 21st 2011"
"I loved all of the play and it was so fun to do my Teacher loves knights and this play was a great play and we had great fun learning the play if we could do it again I would love to do it"
"i think that it will be a knight to remember because of all the great people in it which means natalie , megan , alex , emily and georgia"
"Great show were going to be busy at our school were working overtime"
"I saw this last night and it was fabulous - some fantastic jokes and puns and with some brilliant songs everyone is involved in the show - great script, great characters, the school did this proud with limited rehearsal time, credit to the writer and the performers Steve (proud dad of Squire Syd) !" "wow i cant wait to do the play at the end of the year it is going to be so cool"
"Brilliant to perform and watch. it has an easy, precise and funny script which was a fabulous entertainment for all"
"A very funny and amusing show which had the audience in stitches." "Our Year 6 children have had us in hysterics today performing this to the rest of the school. Other teachers said it was the best play they've seen performed at the school for a long while. What can I say? Excellent script and music makes it really easy to stage and the kids just love performing it. Thanks to the composer!" "This is the second summer we have used a Hawes script for our two-week musical theater camp. Last summer we did Ye Ha! What is really great about these scripts is that each role has lines and a defined character. It allows us the opportunity to work with every child on character development. While Ye Ha allowed us to use our American accents (we even have the cowboy part down really well out here), we used What a Knight to also provide the students some accent work. The scripts easily accommodate the 40 or so students we have in our camp each year and the entire artistic and production team has a great time working on the show. The music is fun and simple enough to learn quickly, the length of the show perfect and the jokes are very funny as well. With all those elements we were able to pull off great productions in just 7 days of rehearsal at the camp. We can't wait to find another Hawes script for our 2011 summer camp." "Im Kandy Calvin in the play and its just sooo funny and I love all the funny bits! I can't wait for the night!" "Amazing I got the part of Lester Lugabout in our play"
"ALL OF US FROM UR SCHOOL LOVED THE IT SO WE HOPE YOU DO TO"
"it is an excellent funny production with great characters." "An outstanding script. So funny and wonderful to watch. Everyone enjoyed rehearsing and acting out the play. Highly recommended." "'What a Knight' was the best key stage two play at Shawfield ever! All the year 5 and 6 got a part and it was great to see their contribution." "i think the play is a good fun joyful and funny play with a bit of everything like songs dances acting and jokes so i love it all round." "this play is soo good i was one of the main characters and the jokes are soo funny and it is the best play ever!!!!!!!! it is a great yr 5,6 play we really enjoyed it at hamble primary school :)"
"We have performed this as our End of Year Key Stage 2 production. The Year 6 absolutely loved the script from the moment they first read through it and were very excited! The choir also enjoyed singing the songs. Last night was our first performance and the parents thought it was great and laughed at the jokes! A great script and catchy songs makes this a fantastic choice for a Year 6 cast. Thank you!" 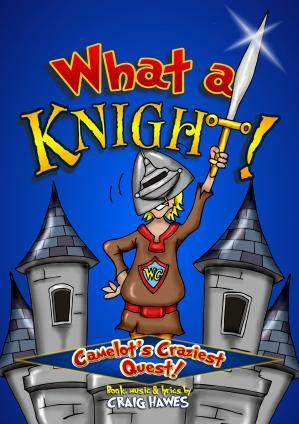 "My daughter appeared in What a Knight in her Year 6 play this week and it was fantastic. Great story, great jokes and even better catchy songs. So catchy in fact, we can't stop singing them." "I'm doing it at the end of the year and every time we rehearse everyone can't stop laughing! It's extremely entertaining to watch and take part in." "At St. Michael's C of E Primary in Kingsteignton we are doing the play ' What A Knight ' and we have just learnt the first song which is terrific." "At Treloweth CP School - Cornwall we're doing "What a Knight" and it is fantastic." "My class is doing this play for our end of year 6 play and everyone is really excited about it. We all think it's incredibly funny. The songs are really easy to learn and all in all it's so cool!" "Such a joy to watch and a very clear and precise script. Very entertaining, on the whole - WONDERFUL!"